I can’t say with certainty whether eating jam and cheese with bread is typically European, but I know I didn’t grow up with this combination in the United States. Most of my European friends (my husband included) have cringed at the idea of peanut butter and jelly, and I in turn, cringed at their idea of jam with cheese. 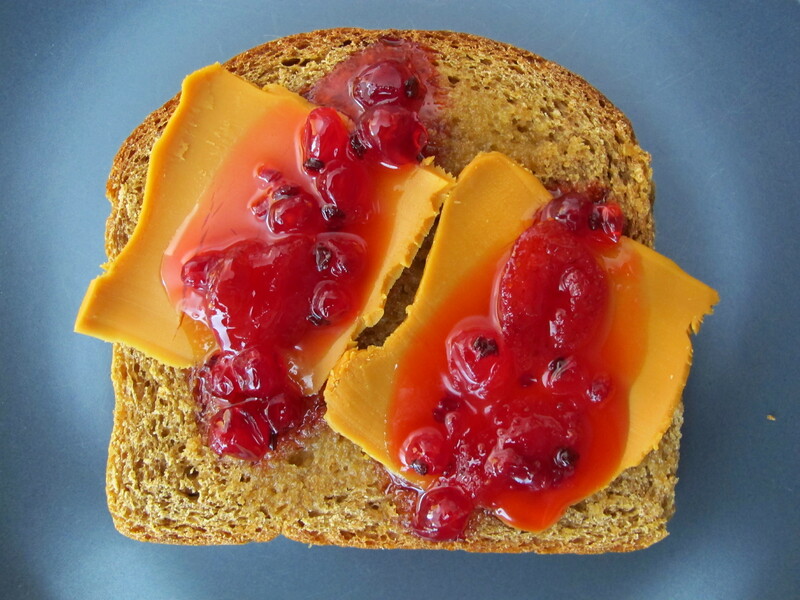 Over a decade ago my loving husband made me a raspberry jam and cheddar cheese sandwich for me when I was running out the door. I must admit that in spite of his lovely gesture, I couldn’t bring myself to eat it. Today I am a convert to the jam and cheese combination, to an extent. I have grown to embrace orange marmalade with cheese but have found it difficult to venture away from my marmalade comfort zone to something like raspberry jam. It’s not that I have anything against raspberry jam, I just have a hard time envisioning it tasting good with cheese. Then I found myself with some leftover gjetost after making Juniper-Spiced Venison with Brown Goat Cheese Sauce from Andreas Viestad’s Kitchen of Light (which was fantastic by the way). Gjetost (YEHT-oost) literally translates to “goat cheese” and is a Norwegian specialty widely available in the US and Scandinavia. 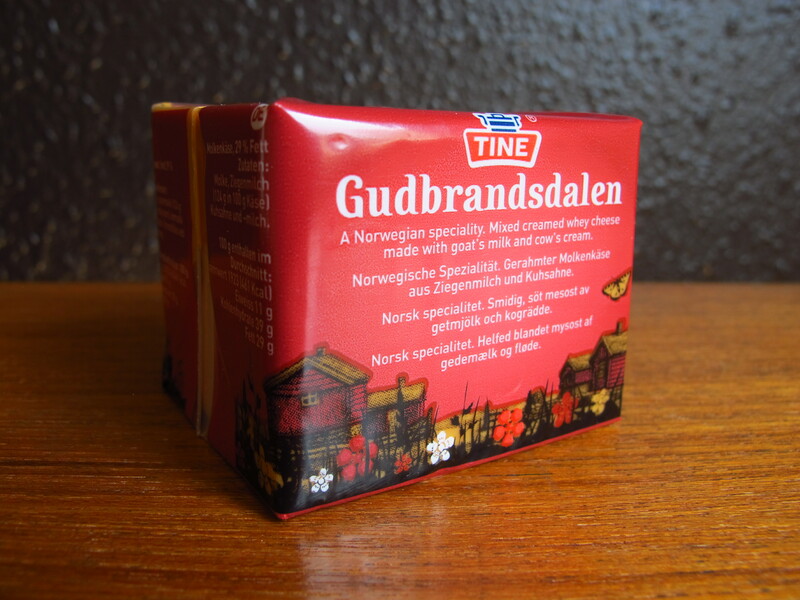 Ski Queen, Ekte, and Gudbrandsdalen are commonly exported varieties. It’s a distinctively sweet cheese made either from pure goat’s milk or a goat-cow mix. 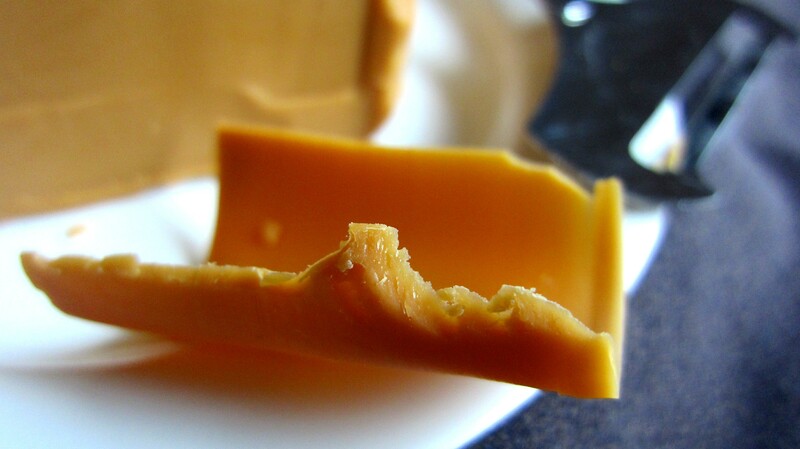 The milk is cooked until the sugars caramelize, then it is curded and pressed resulting in a sweet, caramel-colored cheese with a fudge-like consistency and a “goaty” aftertaste. In all honesty, the first time I tried it years ago I was not a fan and would have compared the taste to licking a goat. But as all things evolve, so have my taste buds and I now count myself among the devotees. 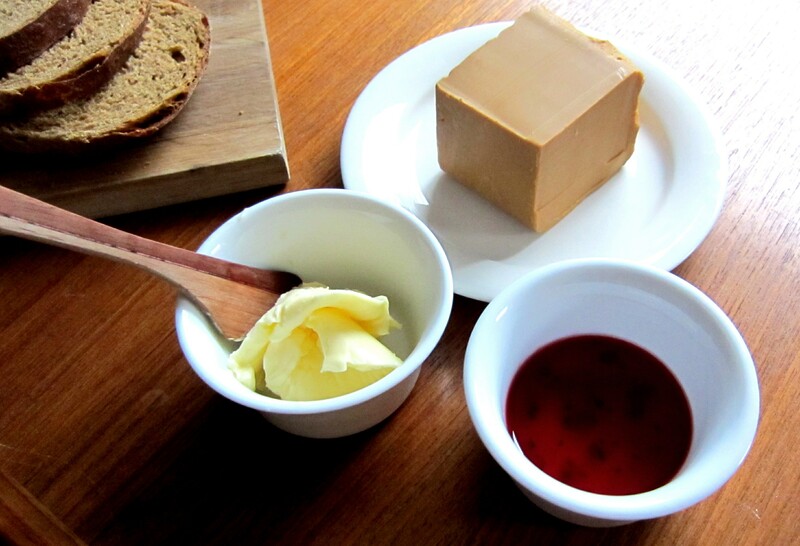 In searching for a way to use up my remaining gjetost I learned that in Norway it is typically eaten for breakfast or as a snack on rye bread with jam. It just so happened that I had some fresh rye bread from the bakery and some strawberry redcurrant jam in the fridge (although my jam turned out a bit runny, I would still put it into the scrumptious category). Intrigued by this gjetost, jam, rye bread combination, I ventured outside of my marmalade realm and after one bite I was hooked. I opted to lightly toast my rye bread and was not disappointed. The crunch of the toast is softened by the butter as it sinks into the bread (generously buttering the warm toast is a given, isn’t it?). Then the gjetost adds a nutty, creamy texture that melts away in your mouth. Any ‘goaty’ aftertaste is tempered by the jam with the whole currants and bits of strawberry adding another layer of intrigue to an already indulgent moment. So am I a convert to the jam and cheese gang? Not entirely. Perhaps this is another step toward my accepting the raspberry jam and cheddar cheese, but for now, I’m sticking with the gjetost. And interestingly, my jam and cheese loving Scandinavian spouse is sticking with the cheddar. I never mentioned that before? Uh oh. Well, I’ve never forgotten the sweet gesture of making it. Cheddar cheese and orange marmalade on a slice of toasted sourdough bread is the best thing I know for breakfast–thanks to my Swedish husband for turning me on to that! Cheese and Jam!? Really? I am Swedish and have never heard of that combo before LOL Marmalade and Cheese, yes of course, but jam, nope 🙂 Found you from MIS btw. Love the blog.